Big consumer brands and retailers would kill for the intrinsic fan loyalty that sports teams enjoy. But what they have figured out is how to harness what loyalty they do get from customers to maximize revenue. Imagine if you could take their learnings and apply them to your fan base, to engage and motivate them to buy more from you, to buy more from your sponsors, and to become more active participants in marketing your team on your behalf. 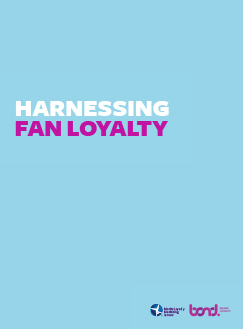 Driving measurable purchase conversion for your team, your venue and your brand partners - this is the power of harnessing Fan Loyalty.